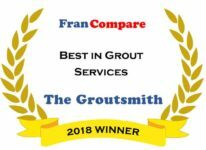 The Groutsmith franchise family is growing all the time. Sometimes seeing is believing. If you want to experience our professional grout and tile service for yourself, check out the list of locations below to find a Groutsmith near you.